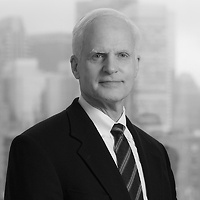 David C. Henderson, a partner in Nutter’s Litigation Department and a member of the firm’s Labor, Employment and Benefits practice group, addressed when additional leave is a reasonable accommodation to an employee’s disability in Nutter Insights. David discussed how an employer should respond when an employee exhausts other leave entitlements and then claims that, because of a disability, even more leave is needed before returning; the implications to considering leave as a reasonable accommodation without regard to other leave policies; factors that can determine whether undue hardship for employers would result; and how an “interactive process” works to determine if reasonable accommodation will cause undue hardship. According to David, while an employer never has to provide an accommodation that causes undue hardship, there are no fixed, universally-applicable criteria for determining when undue hardship would result.